Her Murder was Brutal and Savage, and the Nicaraguan People want Someone to Pay! In 2005, Eric Volz moved to Nicaragua to pursue his dreams. By 2006, he was living the worst nightmare of his life. Twenty-five year old Eric Volz moved to Nicaragua in 2005 in pursuit of paradise. Drawn by its pristine beaches, scenic mountains, lush rainforests, and economic potential, he quickly fell in love with the country. And when his start-up publication, EP Magazine, found success on an international level, Eric's life was taking off like a dream. Then, on November 21, 2006, Eric's ex-girlfriend, beautiful Nicaraguan Doris Ivania Jimenez, was found brutally murdered inside her clothing boutique in the Pacific coastal town of San Juan del Sur. The day he helped lay Doris to rest, Eric was arrested for her murder. His paradise quickly became his prison. Haunting and powerful, this is The Eric Volz Story. 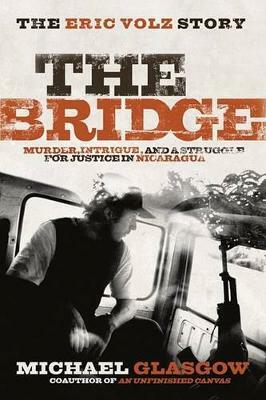 Buy The Bridge: The Eric Volz Story by Michael Glasgow from Australia's Online Independent Bookstore, Boomerang Books.